The European Union is a major destination for illegally smuggled live snakes, lizards and tortoises from southern Africa, posing a serious threat to their conservation. Wealthy EU citizens are big collectors of rare reptiles, with one tortoise openly offered for sale at R35 000. Most of the species are protected by South African or Namibian legislation. They may not be removed from their natural environment but once they reach Europe the trade becomes legal as there is no legislation outside southern Africa protecting them according to a report released by the German organization, Pro Wildlife. Southern Africa has the richest reptile diversity in Africa, which currently comprises of almost 500 species, almost double that of the Congo basin. What’s more, southern Africa’s reptile fauna has a very high level of endemism – almost 80% are only found here and nowhere else in the world. Unfortunately, even though many of the reptilian species are threatened or endangered, they tend to be overlooked in global conservation plans. According to the Southern African Reptile Conservation Assessment (SARCA) this is due, in part, to the fact that available information is incomplete and not easy to access. Existing distributional information for the region’s reptiles has not been adequately collated and integrated into a single database. As a result, many reptiles from South Africa are not protected by the Convention on International Trade in Endangered Species of Wild Fauna and Flora (CITES) and therefore are also not protected under EU law. The reptiles, like the giant girdled-lizard (or Sungazer), the many-horned adder, the side-winding adder, as well as a range of geckoes and tortoises, are mostly rare with a very small distribution range, which makes them highly prone to over-exploitation. Their rarity is reflected by the prices they fetch for the pet-trade in Europe, which is typically around R8,000 to R10,000 per animal. One extremely rare Kalahari tent tortoise (Psammobates oculiferus) is currently up for sale for over R35,000. The traders, mainly from Germany, Slovenia and Russia, create special online platforms and Facebook groups with the physical hand-over mostly done at European reptile trade shows such as last weekend’s exhibition in Hamm, Germany, the largest reptile trade fair in Europe. 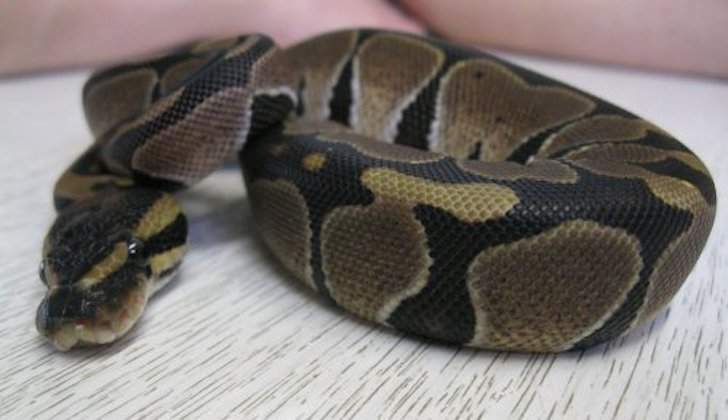 According to Altherr, some dealers prefer not to have dedicated stands at the fair, since the fair prohibits the sale of venomous snakes, so they rather exchange the reptiles carried in their backpacks in nearby hotels. Always use the free online Word to HTML converter to avoid messy code on your websites!